Roku, the streaming TV and media player company, says viewers will have limited access to services on Wednesday. Planned maintenance taking place on Wednesday 23rd August 2017 will affect users of both Roku and Now TV streaming devices and will mean that although users will be able to keep streaming channels already installed on devices, it will not be possible to activate new devices or access the Roku Channel Store to add channels for up to six hours. The facility to make purchases from some channels will also be temporarily disabled. According to an email message sent to users, the work is due to take place on 23rd August 2017 between 5am - 11am Pacific Time, or 1pm - 7pm British Summer Time. Roku has already apologised for any inconvenience. Roku hasn't provided specific reasons why it needs to close its platform down, but earlier this month, Roku announced it will be clamping down on private channels, which are used by Roku users to share illegal content or content for which they do not have the rights clearance to re-distribute. Roku is already warning users of private channels that they might be removed without warning. In Mexico, Roku device sales have been banned due to piracy issues. 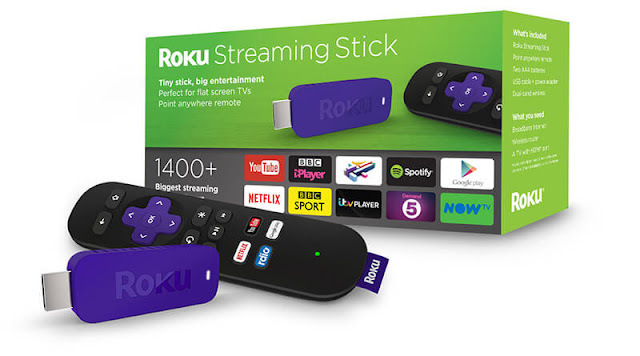 In the UK, Rokus are a popular way to get services including Now TV, Netflix and BBC iPlayer, although some private channels have allowed users to access foreign channels and premium sport for which the relevant copyright clearance is missing.